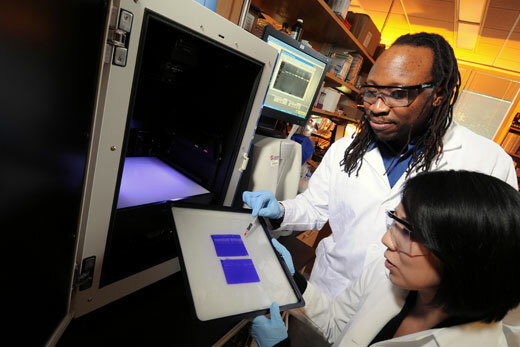 Emory’s and Georgia Tech's joint Department of Biomedical Engineering Ph.D. program ranked 2nd in the nation for the eighth consecutive year. Several of Emory University’s graduate schools and programs are ranked among the best in the nation, according to analysis and surveys released today in U.S. News & World Report’s 2015 edition of “America’s Best Graduate Schools” guide. Emory's schools of law and business were the top-ranked schools in Georgia in their respective categories, and several other Emory entities were ranked this year. Emory's schools of law, medicine and business were the top-ranked schools in Georgia in their respective categories. Goizueta Business School's full-time M.B.A. program was 20th, its part-time M.B.A. program 11th. The School of Medicine was 24th nationally among research-oriented medical schools (the highest in Georgia), and 48th among primary care schools. Emory’s and Georgia Tech's joint Department of Biomedical Engineering Ph.D. program of the Laney Graduate School ranked 2nd in the nation for the eighth consecutive year. Newly ranked Ph.D. programs in Emory's Laney Graduate School included biological sciences, ranking 30th in the nation; and chemistry, ranking 35th. Both were improvements over the previous rankings, done in 2010. Several health-related programs were not surveyed this year, so that Emory’s Rollins School of Public Health remains 6th in the nation, the Nell Hodgson Woodruff School of Nursing remains 21st, the physician assistant program 4th and physical therapy 7th. Emory's Ph.D. program in clinical psychology, last ranked in 2012, remained 18th in the nation.